When it comes to traveling, most people play it safe. The more exotic or different the place is, the more safe people tend to become with their food choices. We believe that one of the best ways to experience the local food and culture is through authentic food. After all, you’ve taken the time off from work to travel, you’ve booked your flights and you know where you are staying. Now what’s left is to open yourself up to new flavors, tastes and experiences. All of which will not only feed your body, but give you a deeper appreciation for the local food, people and culture. When you travel through food, you are immediately taken out of your comfort zone. You are forced to search for the local specialties. You are obligated to talk with the locals and find out what the local dishes are and what’s in them. By approaching your travels through food, you find that you are much more engaged, more deliberate and more immersed in the local culture. 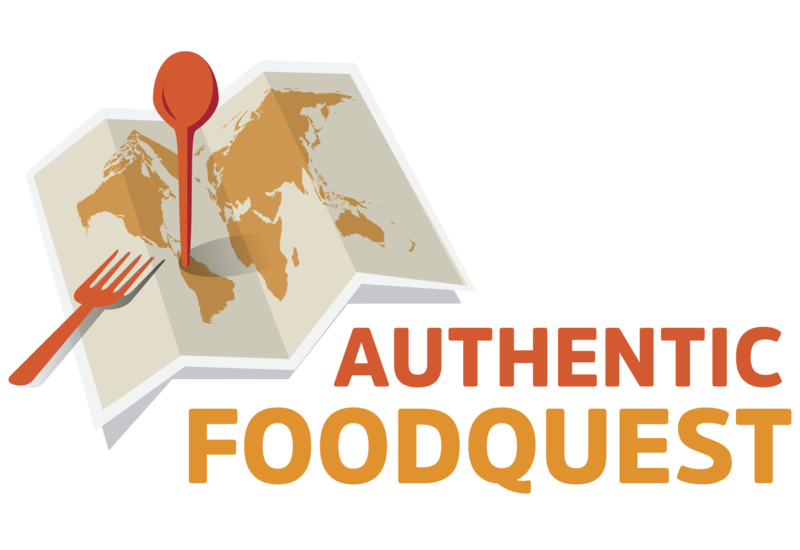 At Authentic Food Quest, we aim to inspire you to travel through authentic food. Discover what is local and put your trepidation aside. There is no reason why you can’t eat great authentic food in foreign places. Apply these 8 tips and prepare to delight your senses. Before you leave on your trip, do some research. Read up on the local and authentic dishes in the area. If you know any friends who have been there, ask them for recommendations. Even better, see if they can connect you with someone local. 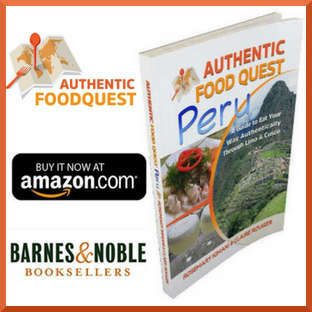 As we were planning our quest for Authentic Food in South America, we didn’t have any personal connections in the countries and cities we were visiting. We simply asked! We talked to friends, colleagues, and friends of friends. Within a fairly short amount of time, we had a list of locals to connect with and authentic dishes to discover. The one thing that surprised us the most was how willing people were to help. We found people to be proud of their countries and willing to share with us their favorite foods, memories, and experiences. To share an example, in Buenos Aires we met with a friend of a former colleague who took the time to show us the city. She also introduced us to well-known specialties like Alfajores and her favorite ice cream store. 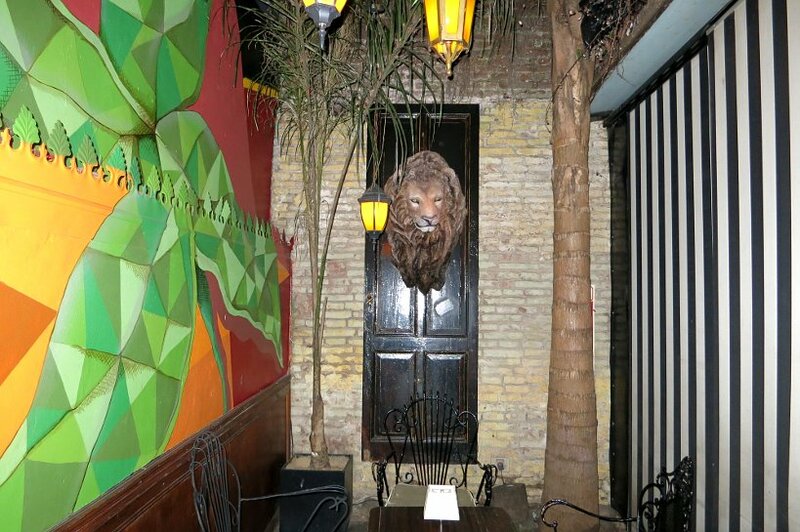 In Argentina, “hidden” or “closed door” bars and restaurants are popular. Had it not been for our local friend, we would never have discovered them. The closed door restaurants are called Puerta Cerradas (closed doors). These are unique concepts where you can enjoy meals from some of the city’s best chefs in their own homes or private residences. Read more about them here. Buenos Aires also has “hidden bars”. These hip and buzzing bars allow you to explore the culture from a unique local perspective. Not easy to find, here are some of the top secret bars in the city. The lesson here – Don’t be afraid to ask. Go beyond your immediate circle of contacts and reach out. You will be thrilled at the “hidden” foodie scoop you will uncover. Once you arrive in your new destination; take time to adjust. This is not the time to run out and get the most exotic meal you can find. Give your body a chance to rest, especially if you have been on a long haul flight. Drink plenty of water to rehydrate from your flight and curb jetlag. Get on the local rhythm and don’t push yourself. Take your time to adjust to the time difference as well. Walk and explore the area and give your stomach a chance to settle. Eat something familiar and take it easy. Our primary mode of transportation through the various regions and cities we visited was by bus. This is the way most locals travel. These bus trips were anywhere from 8 hours to 20 hours. 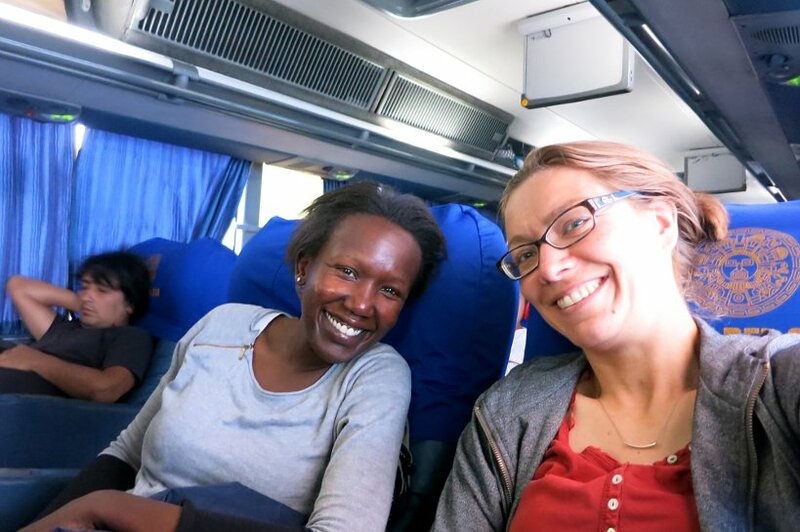 Even though we were not on a flight, these bus trips were exhausting and we would always arrive hungry. In these situations, we looked for familiar foods. Food that we knew would not upset our stomachs. Learning to take time to adjust and let the stomach settle is critical to enjoying great authentic food on your travels. National Geographic recently published an article on “Where To Travel For Food in 2016.” Some of these destinations may already be on your foodie travel list. Imagine you have arrived in your new destination and food is on your mind. You can’t wait to try all the delicious meals and dishes that are tempting you all over the place. When it comes to the environment, you may want to adjust your expectations. For authentic foodie experiences, don’t expect 5-star service at your new destinations. The standards of hygiene may also be lower than what you are used to. For foodie travelers, one thing to keep in mind is that the tastiest food is usually served in not-so-inviting venues. Case in point. Cusco, the gateway to Machu Picchu, has a very famous farmers market called Mercado San Pedro. This is a “foodies heaven”! This farmers market is huge and has everything you can possibly imagine. You read more about our experience at this market here. This market is a great place to start and orient yourself on the authentic dishes in the area. In case you didn’t know, Cusco is the second gastronomy city after Lima in Peru. When we first visited the market, we were blown away by the size of the gastronomy section. This is the section where you can sit down and enjoy prepared meals. The way it works is very different. You find a stall that has a menu that interests you and you sit on a bench and wait to be served. Fortunately, our local Airbnb hosts had prepared us in advance for the experience. When we first got to the market, we honestly did not find it very clean (compared to U.S. or European standards). While the food smelled delicious, upon closer inspection we noticed that there wasn’t any running water, and plates and cups were washed in buckets and recycled for the next guest. Without thinking too much about how frequently the dish water was changed, we focused on the smell and the delicious plates around. We found a busy stall serving the local specialty Lomo Saltado and proceeded to enjoy an absolutely delicious and flavorful meal. This lunch menu for about 5 soles ($1.50) also included a starter which was a soup and a fruit drink. We would not have enjoyed the experience had we not adjusted our expectations. When you want to understand what is local, don’t simply ask your hotel to recommend places to go. They will send you to the places they know tourists will like. Your guide book will essentially do the same. For a foodie traveler, the worst thing is to find yourself at a “recommended” restaurant eating with all the tourists that read the same recommendation. The tourist office is a great place to start familiarizing yourself with your new environment. Here you can get maps of the area, farmers market location and hours, and possibly some information about the local specialties. When looking for the authentic specialties, we have found the tourist office to be very helpful in providing the local vocabulary to use for the local and traditional dishes. However, keep in mind that their recommendations may also be to “tourist-safe” restaurants. So gather the list of recommendations you get from these hotel concierges and guidebooks and try to avoid these places. Ask around and choose the restaurants that are not your “tourist-safe” list. Follow your nose at the markets and food stores. 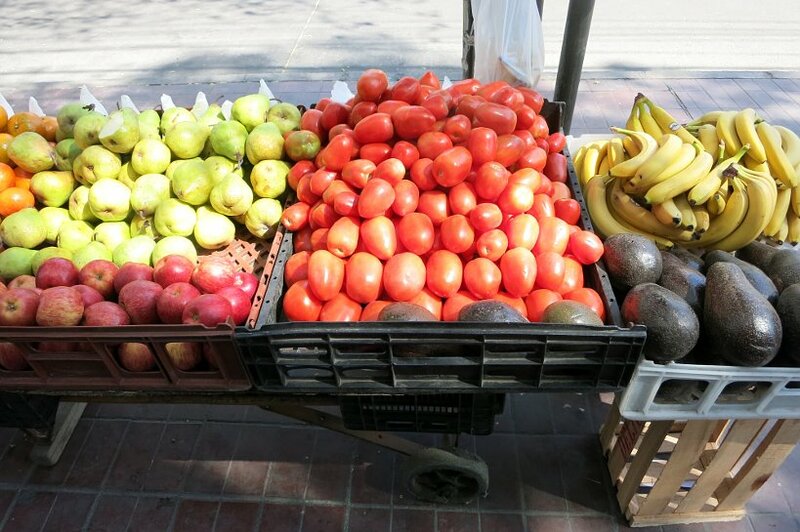 The farmers market is a great place to see the local fruits and vegetables. When you visit the farmer’s market, you will immediately see what is fresh and in season. If something catches your eye, don’t be afraid to ask questions. Smile and use body language if the language is foreign and learn a little bit more about the local produce. This will help you avoid making the wrong choices at restaurants, which may use frozen products instead of fresh produce. On our quest for authentic food in Chile, we wanted to discover the traditional seafood dishes that were unique to the country. 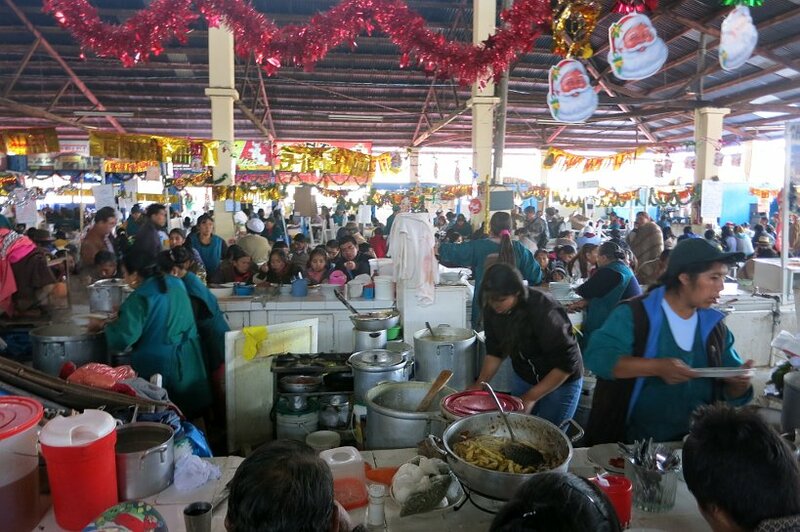 Just as we recommend, we started off by visiting the Mercado Central (main farmers market) in Santiago. 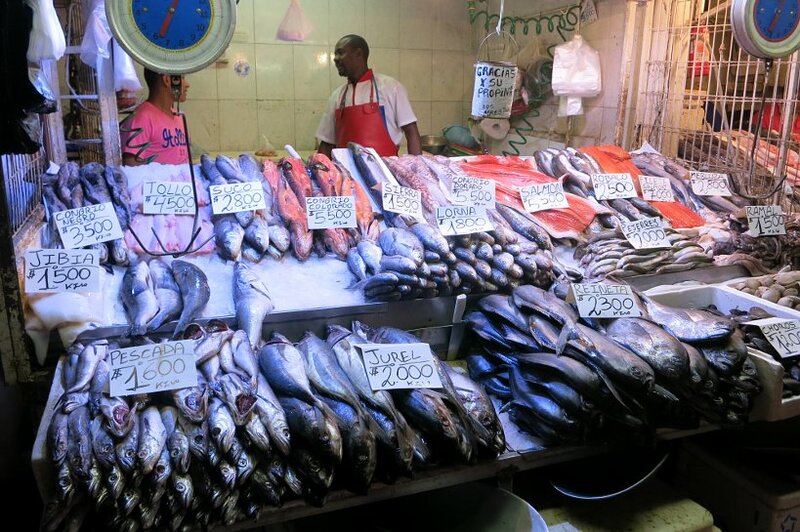 This gave us the opportunity to talk to the fishmongers and find out where to have great and fresh seafood. In our discussions, we learned that the local seafood specialty Locos or Chilean Abalone seafood was available in the summer months and was also strictly controlled. Fortunately, we were there in the summer and managed to eat fresh locos. It was disturbing to learn that many restaurants keep locos on their menus all year round for tourists. Visiting the markets and asking around will ensure that you always get to enjoy the local and seasonal traditional dishes. When making your hotel or lodging reservations, choose to stay outside the popular tourist areas. Make your reservations in residential areas. Choose to stay where the locals stay. When you are there, observe and get on the local rhythm. Visit the food stores in the area. 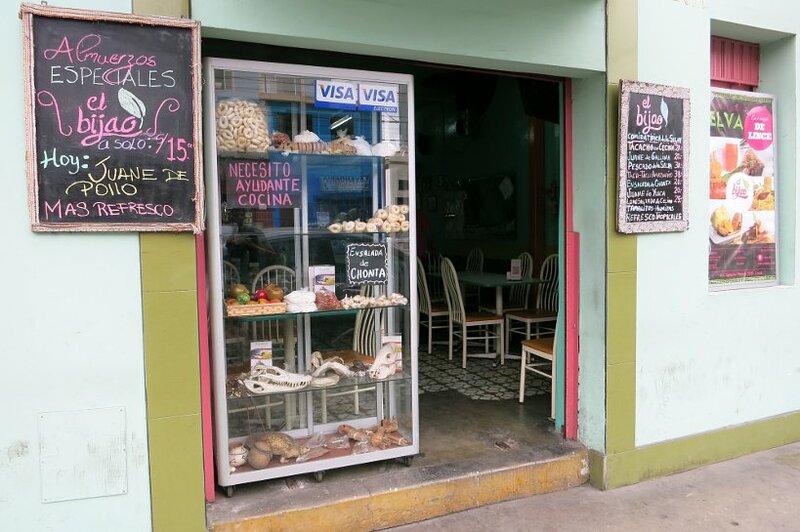 Wander around the neighborhood, pop into the corner stores and ask about the local specialities. 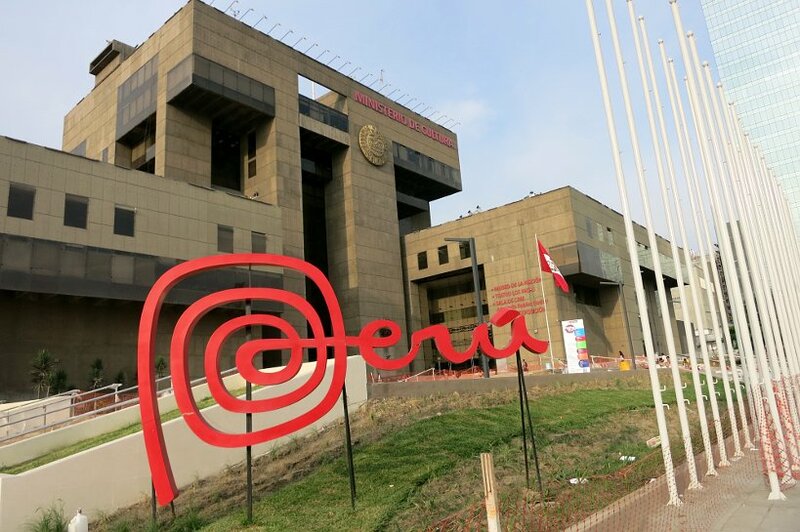 In Lima, one of the most touristy neighborhoods is called Miraflores. It’s a very clean district, with plenty of upscale bars and restaurants and even a special police for tourists and visitors. 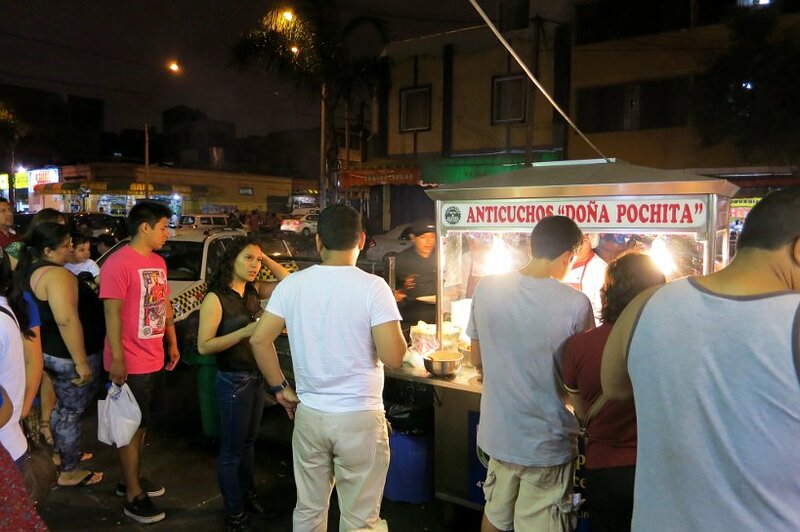 If you are looking for authentic food experiences, you will not find it in a sanitized neighborhood like this one. Get out of the popular areas and stay somewhere local. 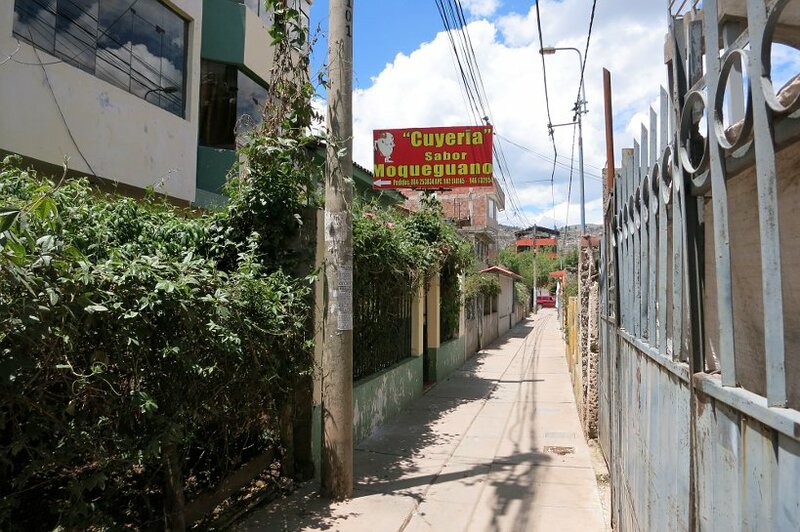 We ended up staying in Lince, a local up-and-coming neighborhood. We were pleasantly surprised to discover amazing local restaurants, numerous farmer’s markets and vegetable corner stores. This was also home to many huariques, which are “secret places” that are not fancy and serve local and traditional foods. Read more about our experience at huariques here. We enjoyed fresh ceviche at various eateries in the neighborhood. 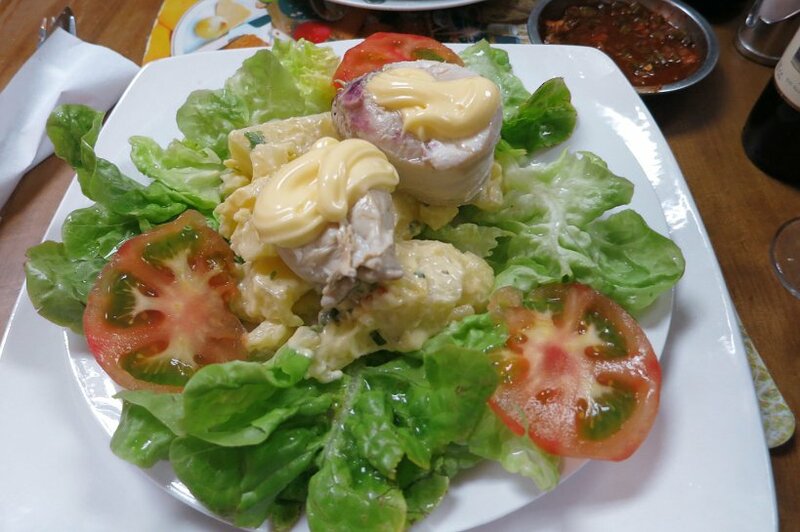 We discovered the surprising food from the Amazon at El Bijao, one of Lima’s best Amazon food restaurants. We also bonded with the locals over street food. All these experiences for a fraction of the prices you would find in the Miraflores neighborhood. For an authentic food experience, stay where the locals stay and eat where the locals eat. 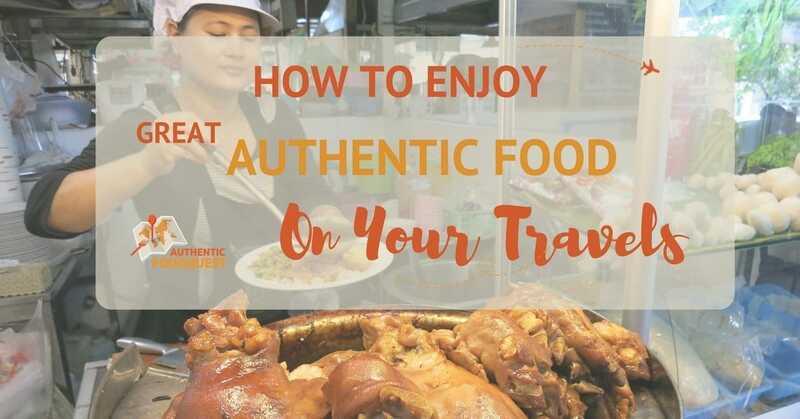 You probably know already that restaurants and food stores in the tourist areas should be avoided when you are seeking an authentic experience. While obvious, this bears repeating because they do offer comfort, familiarity and peace of mind. Eating off the beaten path does take courage. When we were in Mendoza, Argentina, we learned that the tomato is one of the celebrated foods in Mendoza. The high altitudes, extreme cold and hot temperatures concentrate the flavors, giving them an intensely sweet taste. 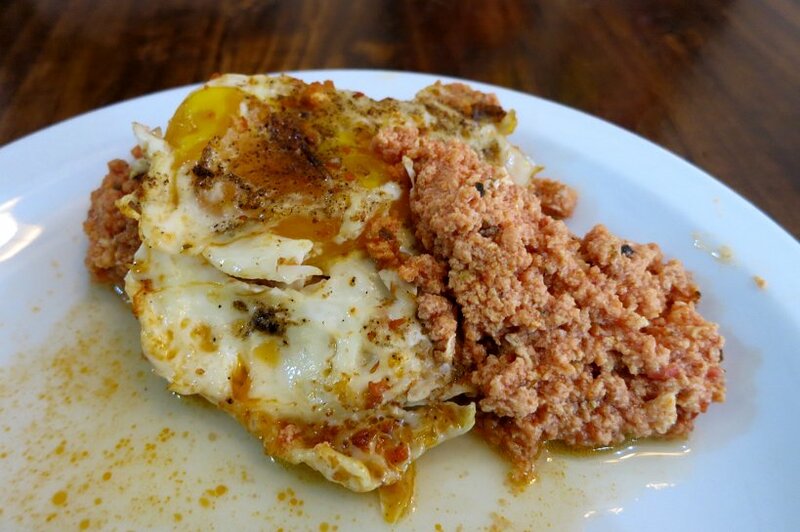 One of the authentic specialties from the area is called Tomatican. It is like a tomato soup made with a few simple ingredients: tomatoes, eggs, onions, oregano, breadcrumbs and salt. It is a traditional meal, often eaten at home. After learning about this dish, we went on our quest to find it and try it. Not having much time in Mendoza, we needed to act fast. We found out early that Tomatican is eaten only in the summer and mostly at home; therefore difficult to find at restaurants. We had to get creative. Our first stop was at the Centro Mercado (local market) for this dish. Not having any luck finding the dish at the market, we were directed by several vendors to a nearby vegetarian restaurant on the other side of the market, in an area not frequented by tourists. We got off the beaten path and found the vegetarian restaurant. Much to our disappointment they did not have the dish available that day. When we told them that we were on a quest to discover Tomatican, the authentic food of Mendoza, they made the dish especially for us. 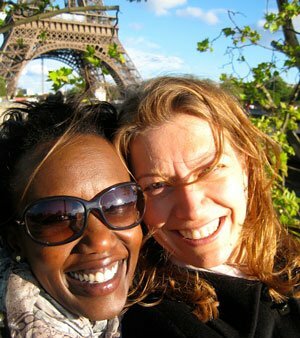 We were so surprised and honored and would never have had that surprising experience if we did not get off the beaten path. Sometimes, the local and authentic dishes may not excite you. In some countries or regions, the main ingredients may be downright off-putting. If you are traveling for foodie experiences, you don’t want to miss out on specialties you may never have again. Before you judge too quickly, seek to understand why the local ingredients are used. Find out the historical and cultural context. Then go beyond your comfort zone and open up to new tastes and flavors. One of the local specialties in Cusco is cuy or guinea pig. Neither one of us were particularly excited about trying this furry animal, but we needed to as part of our quest for authentic and local specialties. Given that we were going to try this specialty only one time in our lives, we chose to have it at a restaurant that specializes in only cuy. Our local hosts recommended an off the beaten path Cuyeria (restaurant that specializes in cuy). The only available meal options were cuy fried or baked. 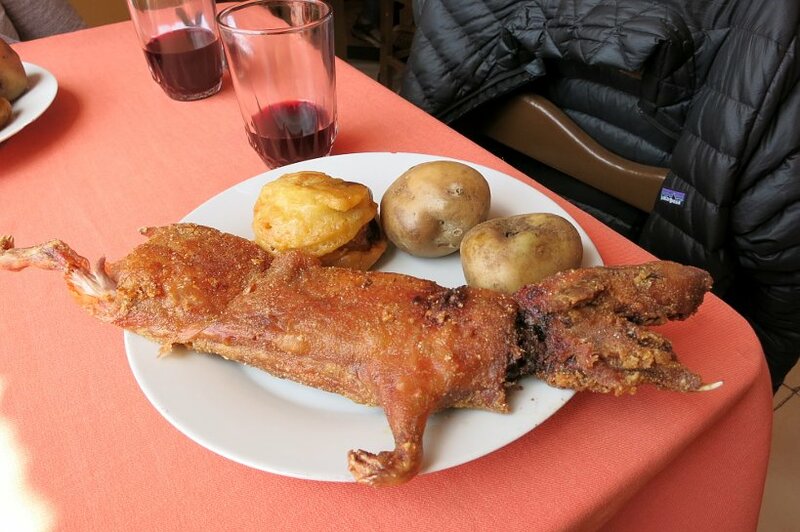 We ordered the fried cuy (cuy chactado) and looked to the locals for tips on how to eat it. Though we didn’t find the taste particularly distinctive, we were glad to have had this once in a lifetime experience. On your foodie travels, don’t fear the non-traditional ingredients. Embrace the experience and try the dishes at restaurants that specialize in those unique specialties. Enjoying great authentic food on your travels takes being open in your mind and with your stomach. You must be willing to go beyond your comfort zone and open up to unusual tastes and flavors. Even though you may be unfamiliar with the foods, consider giving them a try. Work up some courage and order a meal. Be open and follow these tips. 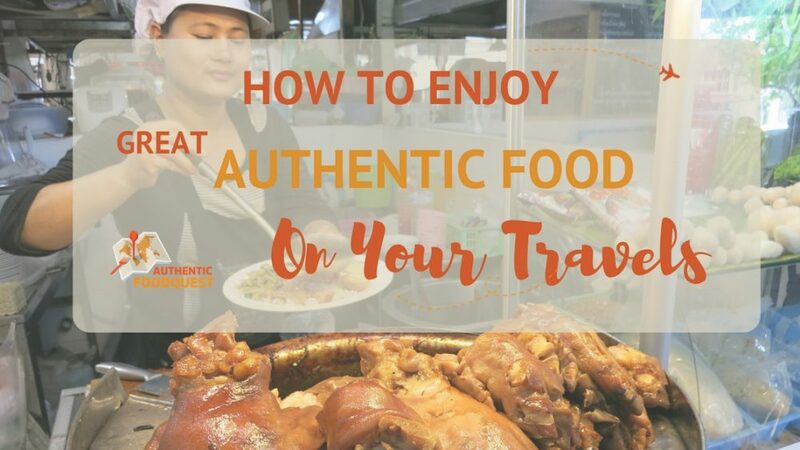 By traveling through authentic foods you will connect deeper to the local culture, people, and place. In the comments below, share with us a surprising local specialty you’ve experienced on your travels. I always try to research local food beforehand and try out the most popular dishes first, until I get used to the food. Then I can be a little more adventurous 🙂 Getting lost for a while and trying out restaurants that pop up on your walk is always pretty fun. And I totally agree with you, if the locals are eating there, chances are that’s a really great place. Great points Alina. You do have to adjust both physically and to the new tastes and flavors. Starting out with what is popular and then becoming more adventurous is a great way to start. And you are right, often times, the locals are never wrong. Thanks for your comments. I totally agree to dump the guide books, i prefer to follow the locals. They would be able to bring you to the best authentic food. Great tips! I used to be a really fussy eater – but my partner is a chef – and he has gradually brought me out of my shell. I do all the research about local specialties and delicacies before we go away, but often leave it to my partner to order the ‘out there’ stuff and I try it from his plate whilst having a ‘safe’ meal to fall back on myself! But at least I am trying, right?! 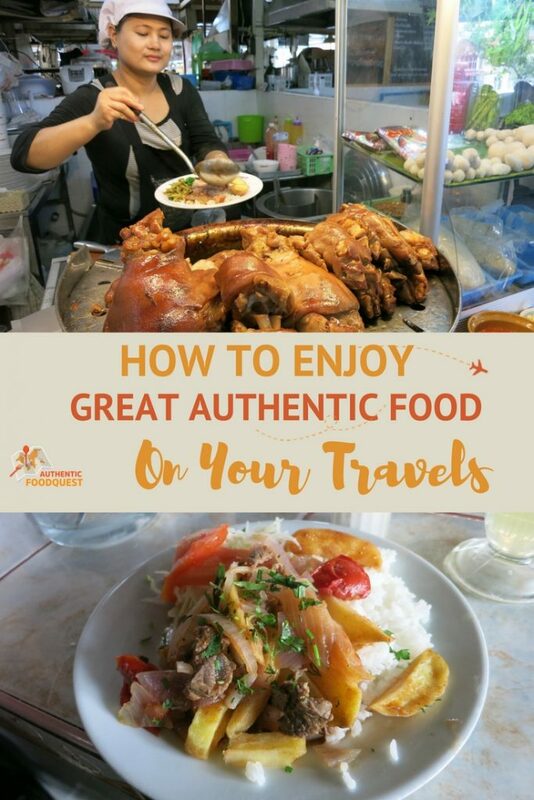 I agree with eating where the locals eat though – one of our favorite things to do is to go somewhere filled with locals and ask them what their favorite dish is – and where there is a language barrier – we sometimes just point to someone’s meal – and we have tried some amazing foods this way! Great food really does make a difference on a trip and it is so nice to see people’s faces when you really enjoy one of their dishes! Thanks for your comments Vicki and so glad that you are venturing out on your eating. Eating the authentic dishes makes the trip so much more memorable. We’ve done the same thing – point to what the locals are eating when there is a language barrier and have always been pleasantly surprised. Keep discovering the world through taste…. for deeper connections. Thanks for your comments! This is a fantastic post and a wonderful guide for getting people to embrace the local food when travelling. What you eat on your travels forms a big part of the whole experience of a country we visit. It would be a shame to not to at least dip your toe in the pool of food available. As a fellow food lover, I love your advice and try and apply it as much as possible. I also enjoy taking food tours or a cooking class if I have time in a place (not only because I get to sample a lot, but because those guides/hosts have a similar love of food!). And I will also do a search on Pinterest when I arrive in a place for recent blog posts about the food culture of a place, just to get a quick lay of the land (i.e. search ‘food of Lima’ or ‘lima restaurant must visit’). The results I get frequently point me in unexpected directions! Thanks so much Drew for your comments. Glad to connect with another food lover. Agree, classes and tours do provide additional info, and so does just wandering the streets and following your “nose” and the locals. Good tip about Pinterest, though. Appreciate your feedback. I would agree with this especially the fact that “yelp”, “Zomato” and other such sites are quite misleading. If you know the language researching on reviews of the local newspapers do help. I won’t say all touristy recommendations are bad, found many good eats through Anthony Bourdain and Lonely Planet recommendations. Hi Prateek, Thanks for your comments. We do not disagree with you and would not suggest that all touristy recommendations are bad. The idea is to go beyond the tourist guide. Ask locals for suggestions and eat where the locals eat. 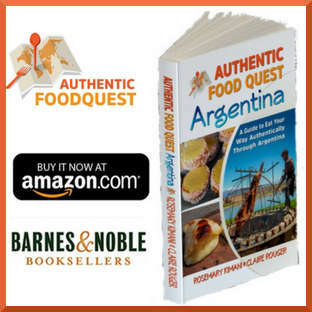 We hope to inspire people to discover the regions they are traveling to through food. Cheers! These comments are really awesome. I especially love the fact that you pointed out that we should adjust our expectations. I agree with what you said, I had experienced this before and I being the nit-picky person that I am, I was really surprised when I came across such amazing food in a not so impressive looking food joint. Thanks Karla for your comments. We completely agree with you and have been in situations where we were surprised by delicious food in not so impressive joints. It’s about finding the courage to branch out, which starts with adjusting our expectations. Here is to welcoming more unusual tastes and flavors into our food choices. Cheers! Great point Geert, doesn’t mean that you will like everything that you try. What matters is finding the courage to “try.” To be honest we didn’t enjoy the Cuy in Cusco, but it helped to understand the history and heritage 🙂 Thanks for your comments. Hi Lotte, thanks for your comments. The key is to follow the locals to the long lines:) Our next destination is Southeast Asia and we are looking forward to trying the authentic dishes in Cambodia and Vietnam. Did you enjoy them? Do let us know what you discover in Japan! Safe travels! I’m right there with you on this! Food is such a huge part of any culture. Going somewhere without eating the food would be a huge shame. All of these dishes look delicious, especially the lomo saltado. I’ve had cuy before, too. You are right Laura, the farmers market is often the best place to begin. Not only do you get to see the local produce, but you also get a sense of the local culture. The vendors have great tips as well. 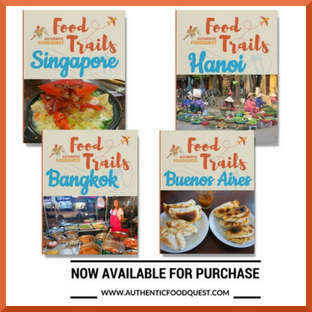 Glad to have connected with another foodie traveler. Cheers! Thanks so much Tess for your honest feedback. We honestly struggled with cuy. What helped us was understanding the cultural significance and the history behind the dish. We will try everything..actually just the local and authentic specialities at least once. 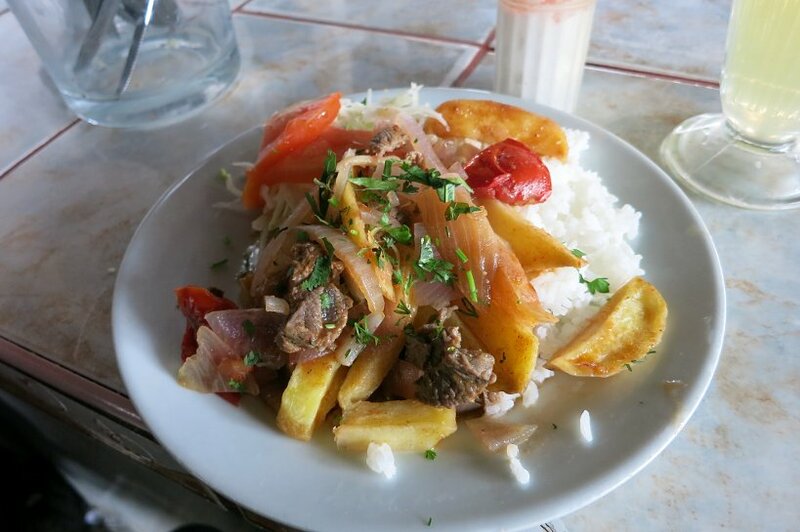 It helps when there are other local dishes like lomo saltado, which is delicious. The long bus trips can indeed be tiring. Helps to prepare as best as possible with snacks, reading material and entertainment. Thanks for your comments. Hi Eileen. So glad you found the post useful and helpful. What tips particularly resonated with you? Wishing you a fantastic authentic eating experience on your upcoming travels. Safe travels! Great tips. Food is a great way to learn about a culture and trying the local dishes helps you get the flavor of place. We love the local markets and usually try to stay somewhere with a kitchen so we can buy some things and try them at home as well. Making some of these things when you are back at home can be a great way to remember and share your trip with friends. Hi Elizabeth, we are definitively on the same page about food being a way to get a local flavor. It truly does help when you have a kitchen and can make something. We’ve had really good experiences also buying local prepared meals and eating in. It’s another way to taste the local flavors without cooking 🙂 Plus the added benefit of budget saving. Great point about bringing ingredients or flavors back home. We really appreciate your comments. Thank you. There are some great ideas here, thanks for sharing. I agree that trying genuine local food can be the best part of a trip, even if it was something a little unexpected or out of the ordinary. Some of those dishes in your photos looked extremely authentic and a little scary, eg the cuy. I especially loved the toilet paper roll for napkins in your top photo, now that looks like an authentic local food place. Eating the cuy was indeed extremely authentic and a real stretch out of the comfort zone 🙂 Exploring the local specialties does take more than a little courage 🙂 As you mentioned, it often can be the best part of the trip. Thanks Elissa for your comments. While I agree with almost 100% on guide books, etc, they can be useful when planning a trip. Especially when going to a more well known destination. That being said, I never use a guide book when it comes to food. I’m all about adventure, and live to see where the search for food takes me! You are right Joe, the point is not to completely ignore guide books, it’s just to go beyond the few restaurants they have mentioned. Letting the “nose” and “stomach” lead can be quite an adventure. Thanks for your comments. Brilliant! I love visiting your blog, its how I get my foodie travels in when I am not travelling. Totes agree about getting off the beaten track and trying the local food, never understood those folk that travel and eat from places like McDonalds. I tend to let lose and try everything, especially street food, I figure if I get sick, chances are I am going to enjoy the experience before, so it’ll be worth it. Tell me, were you guys a little nervous about the cuy? Thanks Anna. So happy to hear that you enjoy our foodie travels. It’s a shame for those who travel the distance, but don’t get off the beaten path. Will never understand! Tasting the Cuy was quite difficult and nerve wrecking for us. We were not looking forward to the experience, but we knew we had to do it. Trying it at a Cuyeria helped 🙂 Fortunately, it didn’t taste bad at all. Boney with not much flavor. Happy to have had the experience though. Cheers! Such good, good tips. 🙂 Courage in eating while traveling has brought me some of my most treasured memories. Spent a month in Cusco and always ate at the market! Food is really good and cheap. I keep coming back for the sauces and the fantastic rice meals! This is also where I tried cuy. And.. it tastes like chicken. 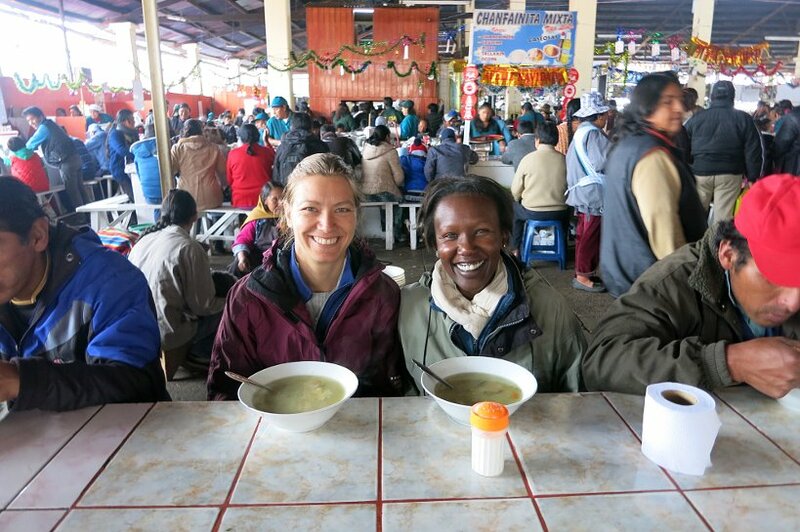 You are right Trisha, Cusco is quite an experience and Mercado San Pedro is unlike any other market. We had many delicious meals and fresh meals for only 5 soles. Can’t beat that! Cuy is a speciality from Cusco and we tried it there as well. Interesting, we thought it tasted more like rabbit and not chicken 🙂 Cheers. Excellent advice. Do you use any apps for recommendations? I think it’s tricky, because they are almost always reviewing tourist restaurants. Great article. Thank you so much Corinne for your feedback. Some of the best apps are the local apps that are used in that country. Ask the locals what they use and if language is a barrier, Google Translate helps! Although I believe local recommendations beat reviews 🙂 Happy travels! I agree that that one of the best ways to experience the local food and culture is through authentic food. My sister and her fiance will be married next year and they both love to travel. My sister always wants to have authentic food catering for her wedding day and shared this article with me. It says that visiting the markets and asking around will ensure that you always get to enjoy the local and seasonal traditional dishes, exactly what my sister wants for the food on her wedding. That’s awesome to read Kayla. Congratulations to your sister and her wedding. Did she get married already? What kind of local food was provided? Tasting the local culture, in addition to visiting the sites, makes the experience much richer in the end. Thanks for stopping by. I love your tip about staying in residential areas and wander around the neighborhood in order to get a taste of the local cuisine. In my opinion, if I were to encounter a restaurant that offers carry-out, I would order my food from there. Doing this will not only help get dinner before heading back but also get food before going to the next stop around town as well. Thanks Yoshiko, and so glad you enjoyed the tip. In local neighborhoods you really get to see the local day to day habits. Having access to kitchen to warm up anything you pick on the go is also a great idea. Thanks for stopping by. Thanks for the tip to ask around for which places to eat when going around a foreign country. In my opinion, one way to tour the country while sampling its many food choices is to get a food tour. Doing this will not only help keep one’s energy during the trip but also enjoy a part of its culture as well. You are right and we are in 100% total agreement, taking a food tour is a wonderful way to get introduced to a city through food. This makes the trip that much more enriching. Thanks, Yoshiko.